Rocky-Salimi, K., Hamidi-Esfahani, Z., Abbasi, S. (2011). Statistical optimization of arachidonic acid production by Mortierella alpina CBS 754.68 in submerged fermentation. Iranian Journal of Biotechnology, 9(2), 87-93. Karim Rocky-Salimi; Zohreh Hamidi-Esfahani; Soleiman Abbasi. "Statistical optimization of arachidonic acid production by Mortierella alpina CBS 754.68 in submerged fermentation". 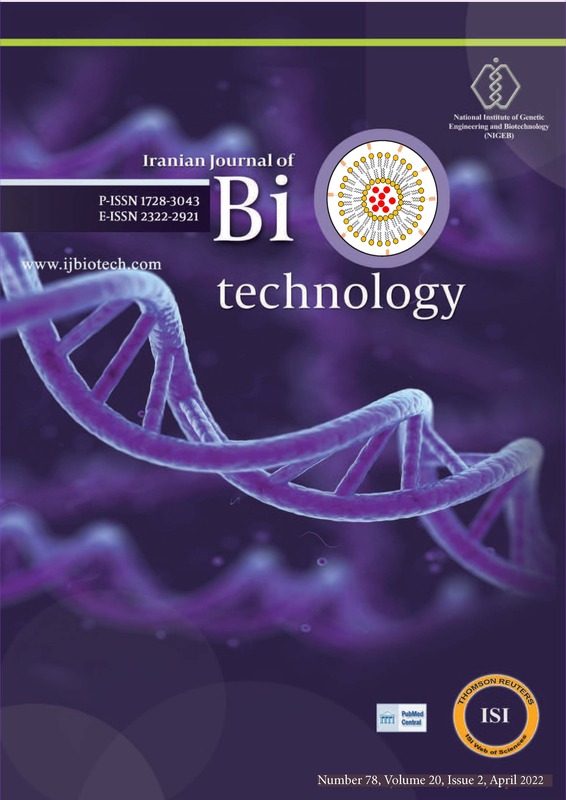 Iranian Journal of Biotechnology, 9, 2, 2011, 87-93. Rocky-Salimi, K., Hamidi-Esfahani, Z., Abbasi, S. (2011). 'Statistical optimization of arachidonic acid production by Mortierella alpina CBS 754.68 in submerged fermentation', Iranian Journal of Biotechnology, 9(2), pp. 87-93. Rocky-Salimi, K., Hamidi-Esfahani, Z., Abbasi, S. Statistical optimization of arachidonic acid production by Mortierella alpina CBS 754.68 in submerged fermentation. Iranian Journal of Biotechnology, 2011; 9(2): 87-93. Department of Food Science and Technology, Faculty of Agriculture, Tarbiat Modares University, P.O. Box 14115- 336, Tehran, I.R. Iran. were selected in accordance with the Plackett-Burman (PB) design and further optimized via response surface methodology (RSM). Five significant variables, namely glucose, yeast extract, temperature,agitation rate, and fermentation time were selected for the optimization studies. The statistical model was constructed via central composite design (CCD). Following the optimization step arachidonic acid production increased by approximately 660.5%, when compared to the screening step. The results indicate that carrying out the fermentation under the conditions of glucose at 50 g/l; yeast extract at 14 g/l; temperature of 22°C; agitation rate of 180 rpm, and fermentation time of 8 days will increase the arachidonic acid production up to 3 g/l. Results show that the optimization of culture conditions could greatly increase arachidonic acid production by Mortierella alpina CBS 754.68.